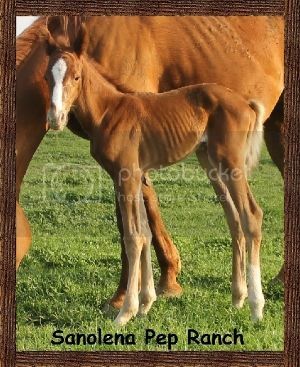 "Daisie" was foaled on April 8, 2016. 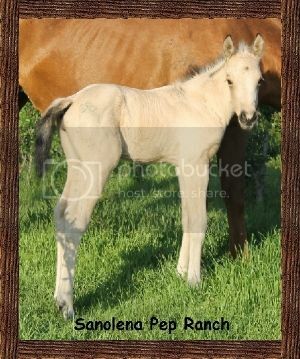 She is a Bay AQHA Filly. Registration Number is 5737324. 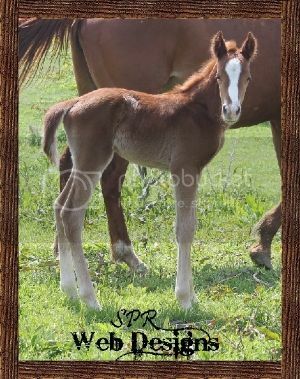 "Badger" was foaled on April 11, 2016. He is a Chestnut AQHA Colt. Registration Number is 5727147. 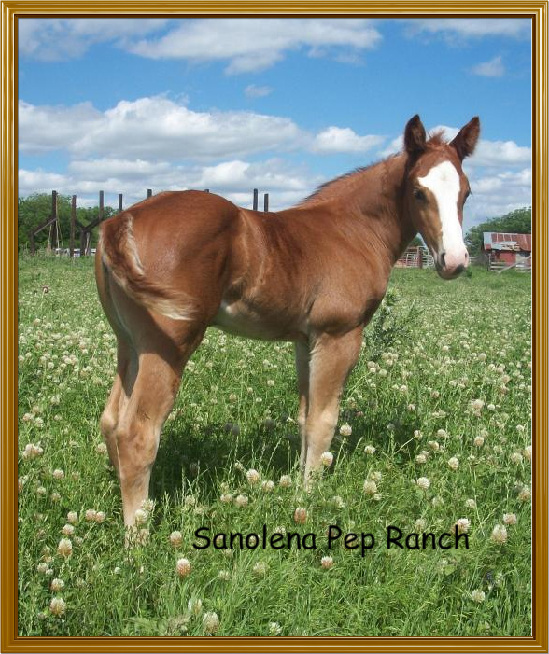 "Sanman" was foaled on May 10, 2016. 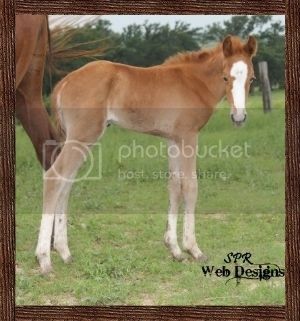 He is a Chestnut AQHA Colt. Registration Number is X0723001. 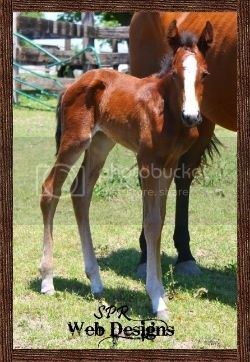 "Flicker" was foaled on May 11, 2016. 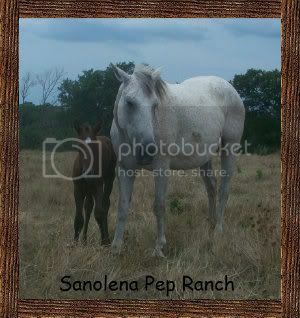 She is a Blue Roan AQHA Filly. Registration is pending. 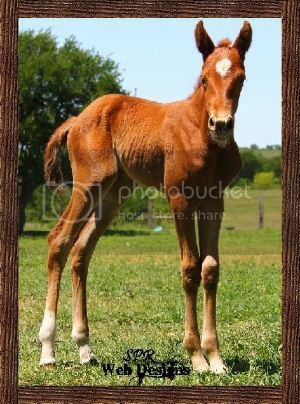 "Nyla" was foaled on May 15, 2016. 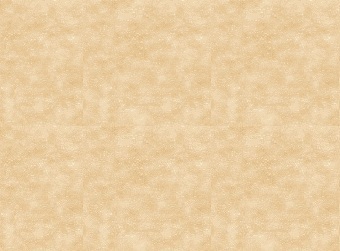 She is a Palomino AQHA Filly. Registration Number is 5737325. "Charlie" was foaled on May 23, 2016. 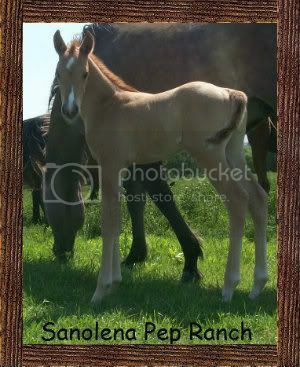 He is a Bay AQHA Colt. Registration Number is 5734202. "Linus" was foaled on May 24, 2016. 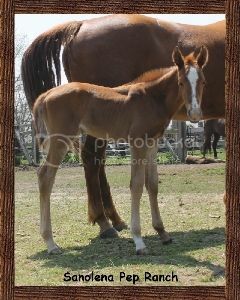 He is a Chestnut Blanket ApHC Colt. Registration is pending. 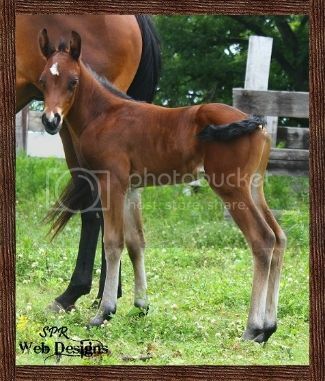 "Smartie" was foaled on June 3, 2016. 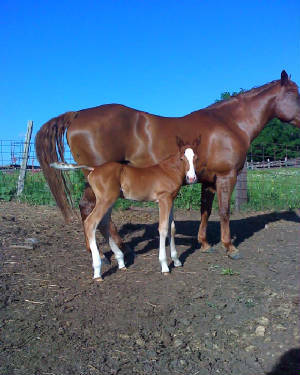 He is a Chestnut AQHA Colt. Registration Number is 5734203. "Rey" was foaled on June 20, 2016. 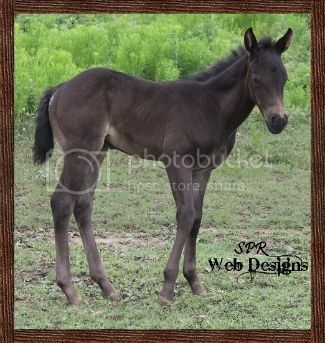 He is a Bay AQHA Colt. Registration Number is Pending. "Gru" was foaled on March 24, 2015. He is a Grullo AQHA Colt. Registration is pending. "Sweetie" was foaled on April 20, 2015. She is a Chestnut AQHA Filly. Registration is pending. "Red" was foaled on April 28, 2015 at 3:45 AM. 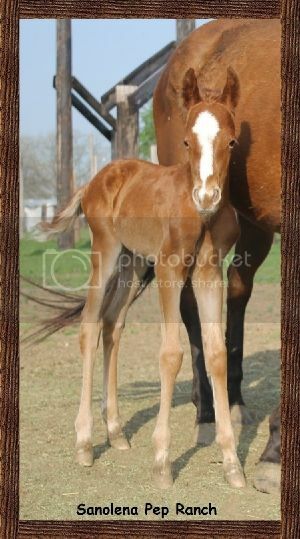 He is a Chestnut AQHA Colt. Registration Number is 5671514. "Dori" was foaled on May 2, 2015. 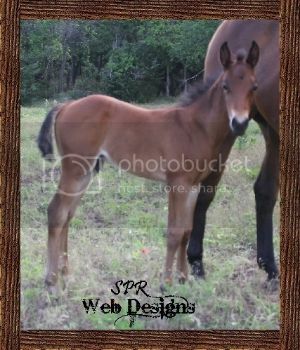 She is a Bay AQHA Filly. Registration is 5690750. "Lynx" was foaled on May 3, 2015. 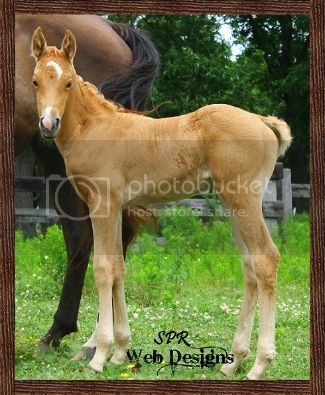 He is a Buckskin AQHA Colt. Registration is 5691052. "Dollia" was foaled on May 20, 2015. 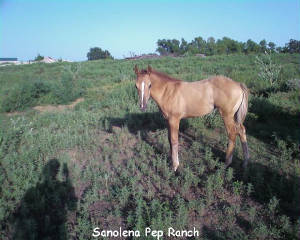 She is a Red Roan AQHA Filly. Registration Number is 5785750. "Duck" was foaled on August 1, 2015. 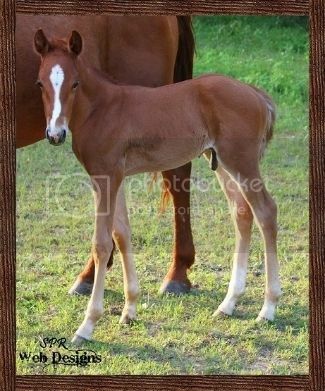 He is a Chestnut AQHA Colt. Registration Number is 5717974. "Dual Bug" was foaled on February 26,2014. 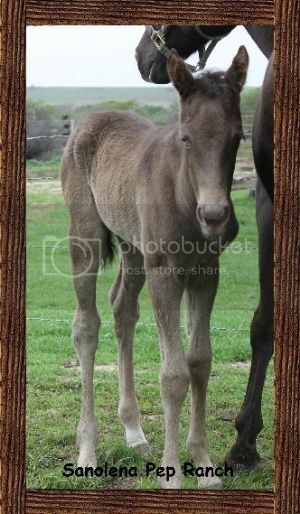 He is a Bay AQHA Colt. Registration Number is 5622172. "Bay Bay" was foaled on April 1,2014 at 5:30AM. She is a Bay AQHA Filly. Registration is 5680721. 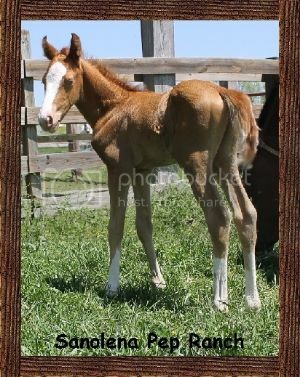 "Spunky" was foaled on April 9, 2014. He is a Chestnut AQHA Colt. Registration is pending. "Elaine's Colt" was foaled on April 18, 2014. 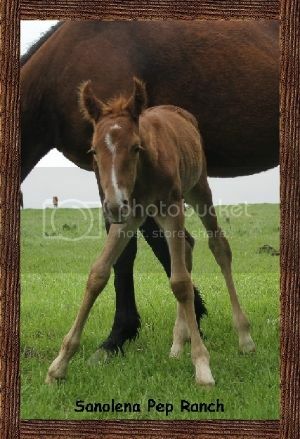 He is a Chestnut AQHA Colt. "Cougar" was foaled on May 2,2014. She is a Chestnut AQHA Filly. Registration Number is 5678367. 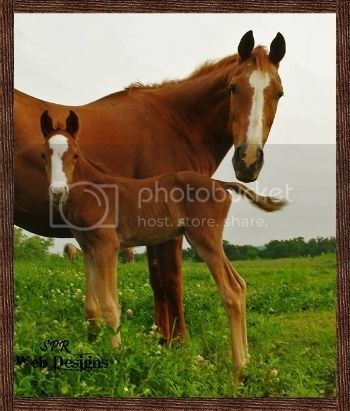 "Hammie" was foaled on May 14, 2014. He is a Chestnut AQHA Colt. Registration Number is 5678366. 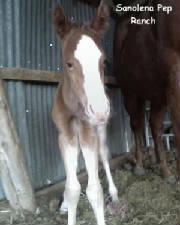 "Mocha" was foaled on April 06, 2013 at 11:10PM. may also have a cream gene. Registration number is 5537250. Her color test are pending. "Mookie" was foaled on April 11, 2013. 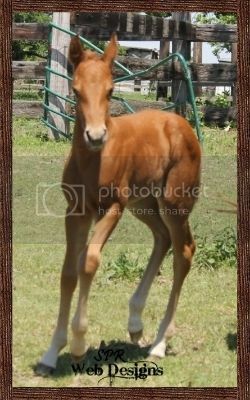 She is Chestnut AQHA Filly. Registration Number is 5533800. 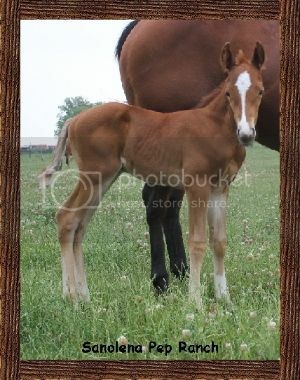 "Tookie" was foaled on April 11, 2013. 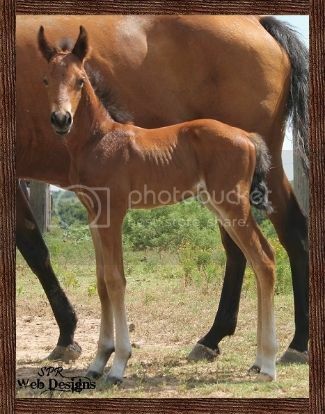 She is Bay AQHA Filly. Registration number is 5529386. "Raci" was foaled on April 16, 2013. 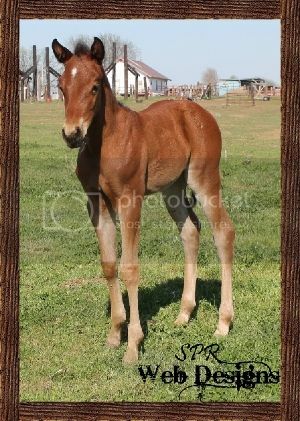 She is Chestnut AQHA Filly. Registration Number is 5535316. Laker was foaled on April 16, 2013. 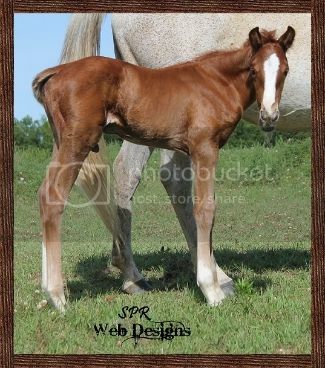 He is a Chestnut AQHA Colt. Registration Number is 5529102. "Poo Ber" was foaled on April 23, 2013. She is Chestnut AQHA Filly. Registration Number is 5532082. "Lizzie" was foaled on April 27, 2013. 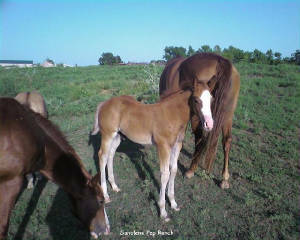 She is Bay AQHA Filly. Registration Number is 5533386. 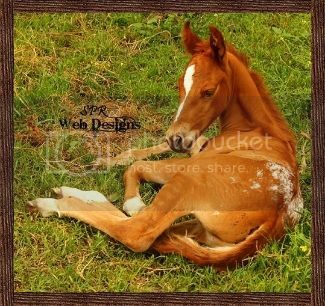 Quixie Dun It was foaled on April 29, 2013 at 11:15 PM. 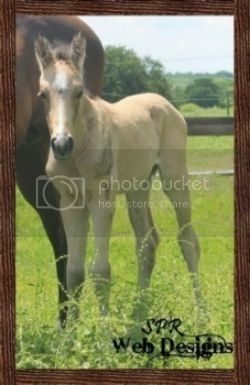 She is Buckskin AQHA Filly. Registration Number X0708010. "Lishia" was foaled on May 5, 2013. 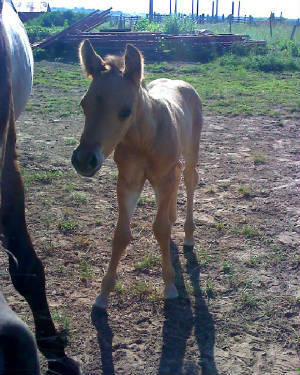 She is Gold Champange AQHA Filly. Registration Number is 5654842. "Pac Man" was foaled on May 7, 2013. 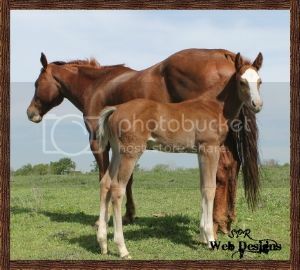 He is a Chestnut AQHA Colt. Registration Number is 5537729. 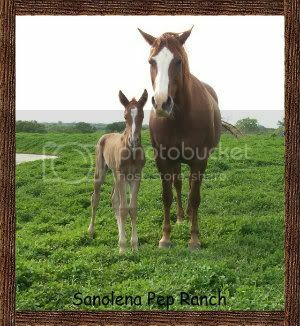 "Pepper" was foaled on May 19, 2013. 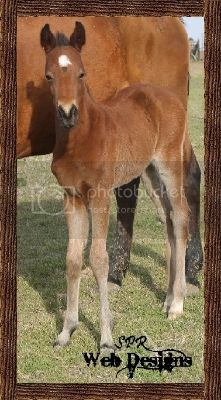 He is Bay AQHA Colt. Registration Number is 5532097. "Daxter" was foaled on May 21, 2013. He is a Chestnut AQHA Colt. Registration Number is 5545658. Woodie was foaled on March 29, 2012. 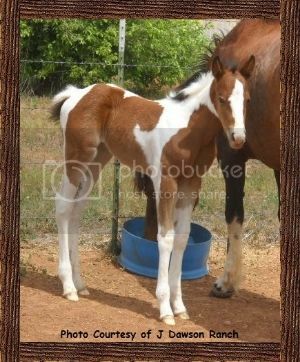 She is a Bay Roan Tobiano APHA Filly. APHA Registration number 1,021,527. Talullah was foaled on April 7, 2012. 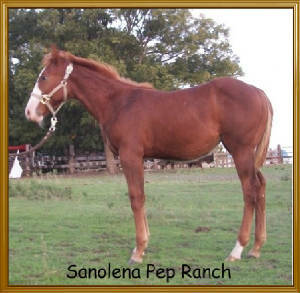 She is a Red Roan AQHA Filly. AQHA Registration number 5435670. She is 89% Foundation Quarter Horse. "Little Man" was foaled on April 12, 2012. 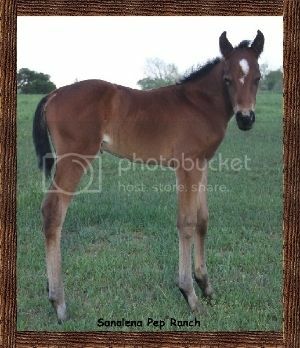 He is a Sorrel AQHA Colt. 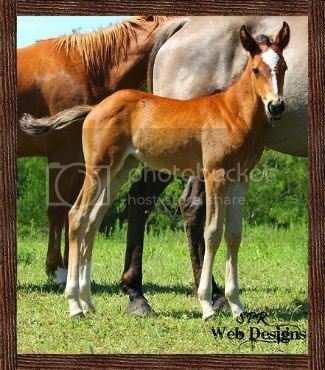 AQHA Registration Number is 5438925. 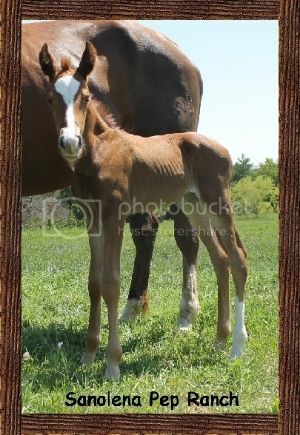 "Flyer" was foaled on April 17, 2012. 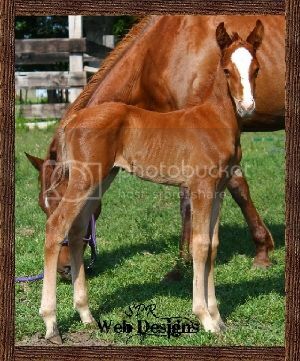 He is a light Red Dun AQHA Colt. AQHA Registration Number 5438914. Sparkles was foaled on June 17, 2012. She was born chestnut but is graying. Her AQHA Registration is 5453915. 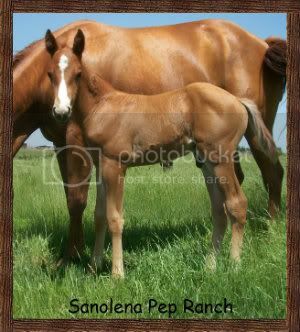 Slidin With Sanolena "Slider" was foaled on May 20, 2010.